Despite the added functionality that manufacturers keep trying to cram inside them, watches have always been, and will always be, a fashion accessory first. And that’s why we’re lusting over this new concept E Ink watch from Sony that can instantly change its design, but is also thinner than a credit card. 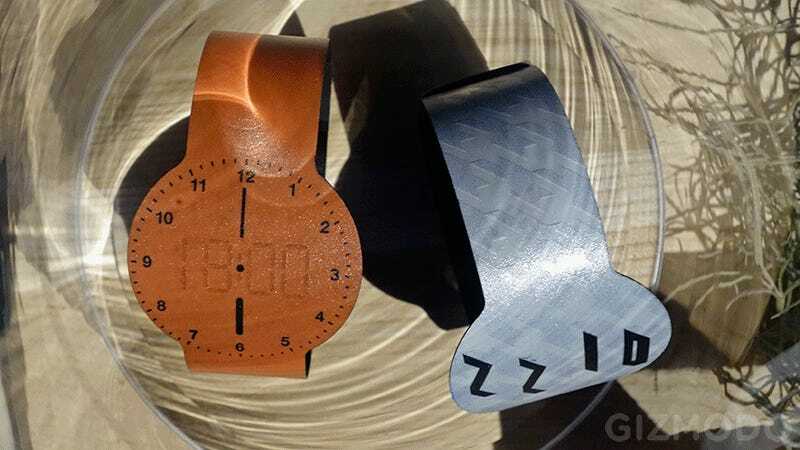 Sony already sells a similar E Ink-powered watch in Japan called the FES—which stands for Fashion Entertainments startup—but it’s limited to just displaying black and white patterns, and is as thick as other smartwatches that can do a lot more for a price tag that inches north of $250 if you were to have the FES imported to North America. Sony actually revealed this second-generation FES watch back in July of 2016, but CES 2017 was our first opportunity to see it in person. It was trapped under a glass bell jar which meant we weren’t able to handle it or try the watch on, but the wearable does finally introduce a splash of color that can disappear or reappear underneath a thin layer of E Ink. It’s also amazingly thin—almost to the point of making us worried about getting a paper cut while wearing one, but you would almost certainly barely feel it on your wrist. There’s no word on when Sony might actually sell this prototype, but since it did put the original FES watch into limited production, we’re going to remain cautiously optimistic that we might one day be able to buy it, even if it requires a trip to Japan.